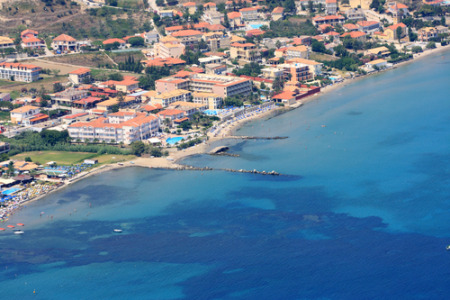 Although a small island, Zante is certainly not lacking in things to do. If you’re after a party holiday experience which will provide you and your friends with endless memories that you won’t forget in a hurry then look no further than Laganas! This is one of the best and biggest party places around with a nightlife strip to rival Las Vegas’! Laganas regularly attracts a young and lively party crowd, so if that sounds up your street then take a browse through our cheap holidays to Zante and get your dancing shoes on! If you’re after a more authentic holiday experience, the southern peninsular offers an array of much quieter resorts. It is here where you can fully indulge yourself in the traditional character of Greece. Picturesque villages, whitewashed houses and taverns that will cater for your every food desire…what more could you want? So don’t let a holiday of a lifetime slip through your fingers! Take a look at our cheap holidays to Zante now. The perfect place to stay…? If there is one thing that must be ticked off your list of places to visit in Zante, it is Smugglers’ Cove! This idyllic paradise regularly graces the front of many Zante postcards and it’s easy to see why… golden sands framed by enchanting white cliffs and the opportunity to relax and appreciate the beauty of the captivating coastline. Not only is Smugglers’ Cove the ideal sunbathing location with views you can only dream about, but you will also be treated to an exciting snippet of the past with the Cove being home to the ancient ruins of a supposed shipwrecked smuggler ship! If you are interested in Zante then check out our handy guides below, giving you helpful advice and ideas that'll save you time and money when you're going on holiday. Europe’s Cheapest Beach Breaks for Party AnimalsReady to hit the beaches and bars of Europe? Read on.